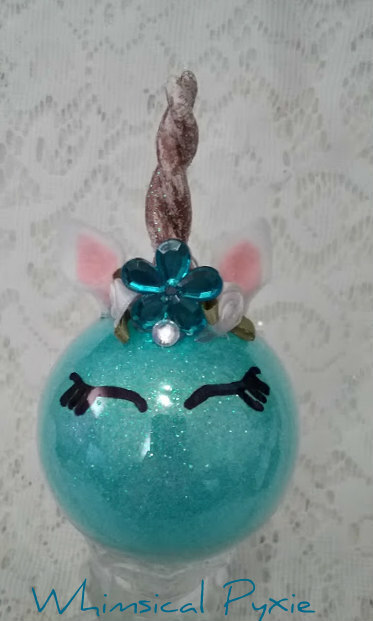 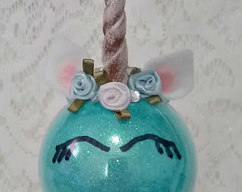 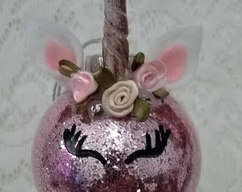 This unicorn ornament has been created from a small 3 inch plastic ball ornament. 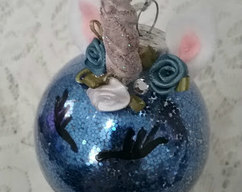 The glitter is on the inside and the outside is decorated with roses, rhinestones and flowers. 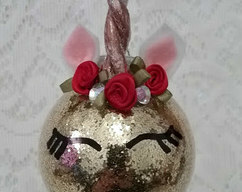 The horn is made from polymer clay that has been gilded, glittered and sealed.